In my eyes and I’m sure in many others’ Jacques d’Amboise is an extremely influential man, one who has dedicated his life to helping others through art. This is truly a unique quality in a man. He has traveled around the world showcasing his dance education, has received several awards and honors, and founded the National Dance Institute (NDI) which exposes thousands of children to dance. I believe his accomplishments are admirable and anyone who has the pleasure of meeting and getting to know Jacques is fortunate. Jacques d’Amboise will be here, at the National Museum of Dance, on August 10 at 11am for a meet and greet session with a brunch to follow. If you are interested in meeting such an amazing man then please RSVP to our event at 518-584-2225 x3001. We are located at 99 South Broadway in Saratoga Springs, NY. ESPN sports broadcaster Sal Paolantonio wrote us a heartfelt testimonial regarding his experience of his daughter’s wedding at the National Museum of Dance. We received this testimonial from Sal shortly after the wedding took place. On behalf of the entire Paolantonio family, I want to say thank you! The National Museum of Dance was a magnificent setting for Kyle and Justin’s wedding. Your hospitality, service and attention to detail made us feel welcome and led to a very successful event! Thank you!! On behalf of the National Museum of Dance, we would like to thank everyone who writes to us telling us about their event experience. We truly cherish the letters that are written and appreciate all our customers provide us with. If it wasn’t for all the people that love the National Museum of Dance it would seize to exist! So thank you and we hope to hear from you soon! As you all already know, the world premiere of this version’s Pinocchio took place in the Mr. And Mrs. Ronald A. Riggi Theater. 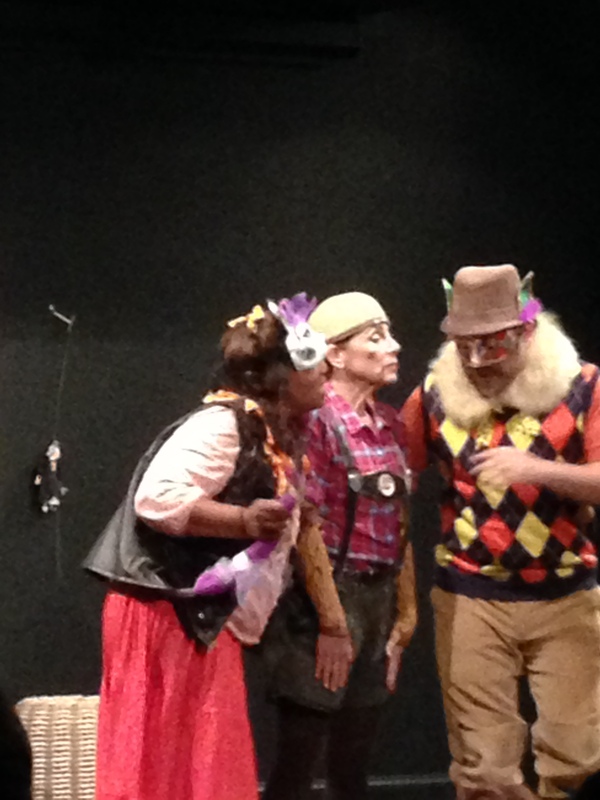 Over the last several days, the play Pinocchio was a huge success. We were able to receive feedback from a few audience members about what they thought of the performance. Overall the performances proved to be successful, the cast and crew did a wonderful job. They were all so kind and were a pleasure to have in our museum during their practices, rehearsals and performances. One memorable part of this experience for me was as their performances ended they couldn’t all help but share their joy in the performance they just put on. Not only was this a one of a kind event, we hope that this production will be performed here for years to come! Come relive the classic tale of a puppet’s journey as he transforms into a “real boy”, starting July 19th at the National Museum of Dance Theater… The Creative Place International and The National Museum of Dance School of the Arts present to you the story of PINOCCHIO, a new play with music, adapted by Mary Jane Hansen, with a script by Don Raffaello Lavagna. The essence of Carlo Collodi’s original story is kept alive with authentic Italian music by Alberico Vitalini, adapted by Will Severin. This will not be a show to miss! I remember the first time I ever saw Pinocchio when I was just a child. The Disney-adapted movie has stuck with me, even though I haven’t seen it in years. 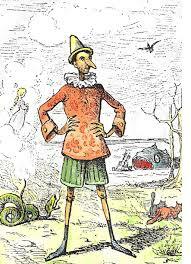 But this tale of a feeble wooden puppet and his nose-growing habit of fabricating lies seems to resonate with many more people than just I. Pinocchio is one of the most popularly adapted stories in children’s literature, and has reappeared in a myriad of forms since its original publishing in 1883 by Carlo Collodi. We hope that you join us on any of the following dates to watch this classic story come alive in its latest form of music and dance! The Dance Museum is highly looking forward to this opportunity to host Creative Place International in the production of PINOCCHIO. We cannot wait see such a magical story take on the next dimension of song and dance, and all of your faces light up when you do too! Inventive visuals, evocative music, and dramatic movement fill the stage. Only lights, shadows, props, and human bodies erect mesmerizing illusions. An internationally renowned dance company whose influence and repertoire have reached over 55 countries, yet boasts less than 35 years of establishment is creating an artistic movement not to be overlooked. The dance-illusionists of MOMIX are coming to Saratoga Springs, and you do not want to miss out. Founder and Artistic Director of MOMIX Moses Pendleton established himself in the dance world over forty years ago. 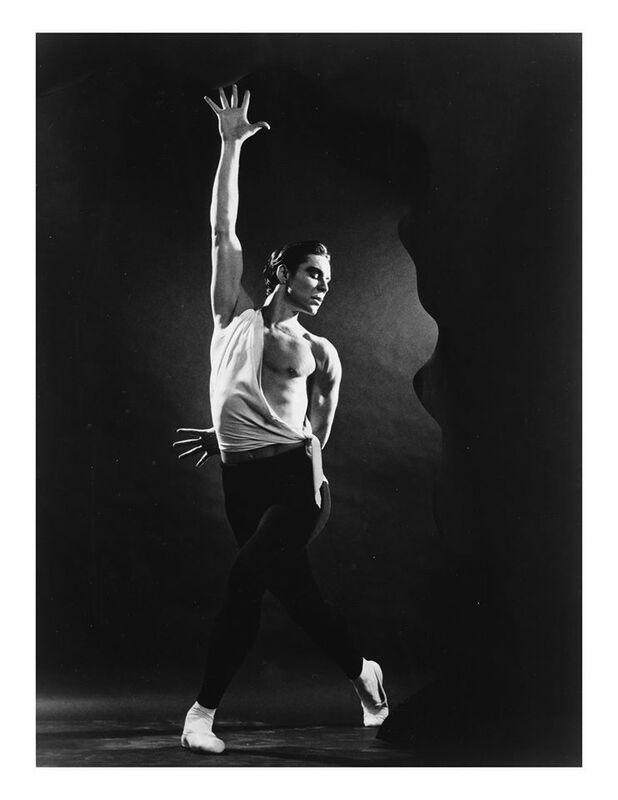 Pendleton is an original member of Pilobolous Dance Theatre, as well as a choreographer for various ballets, films, operas, and the closing ceremonies for the 1980 Winter Olympics. MOMIX was created in 1981 and quickly made a name for itself as an innovative and creative dance company, especially known for their captivating and beautiful images. The company is remarkable in many ways and we are delighted to welcome them to Saratoga Springs. MOMIX is considered to be a “young” and “new” dance troupe, but it has the popularity and respected reputation as some troupes twice its age. 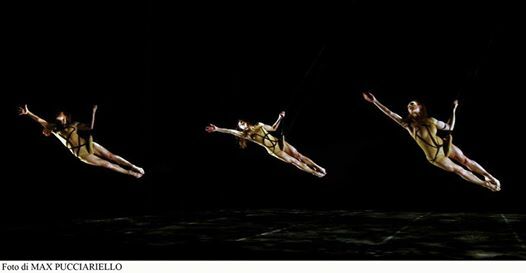 The dance-illusionists of MOMIX have been featured in television commercials, film, and on stages for international audiences, while their journey as a dance company has just begun. Take advantage of the incredible opportunity our community has and watch a performance or take part in their improvisational master class while they are in town. Saratoga En Pointe was so captivating to the community members, National Museum of Dance has decided to run its photo contest for a second time! Until Saturday, August 31st at 4pm, anyone may participate in this community wide event. Last year’s contestants earned a place on display in our museum, they are able to come see the picture they submitted to the museum in the Saratoga En Pointe exhibit slideshow. After the contest, the photos will be replaced with this year’s participants! The 2014 contest is looking for even more exciting and unique photos from the participants. The contest will be run on Facebook. Participants are asked to take a picture of themselves with a pointe shoe around town, either doing a dance pose or replicating the theme of that shoe. Whether it be replicating the pose, style, colors etc. As participants are coming to the museum for the map of where the shoes are placed this year, we are hearing exciting discussions about what they will be doing in order to win the contest. I personally am inspired by the Lilly Tiptoes Through Toga shoe, sponsored by Pink Paddock. I am thinking I will create a dress that looks just like the designs on the shoe! Each individual/family may submit one photo per shoe for a total of up to 26 submissions. 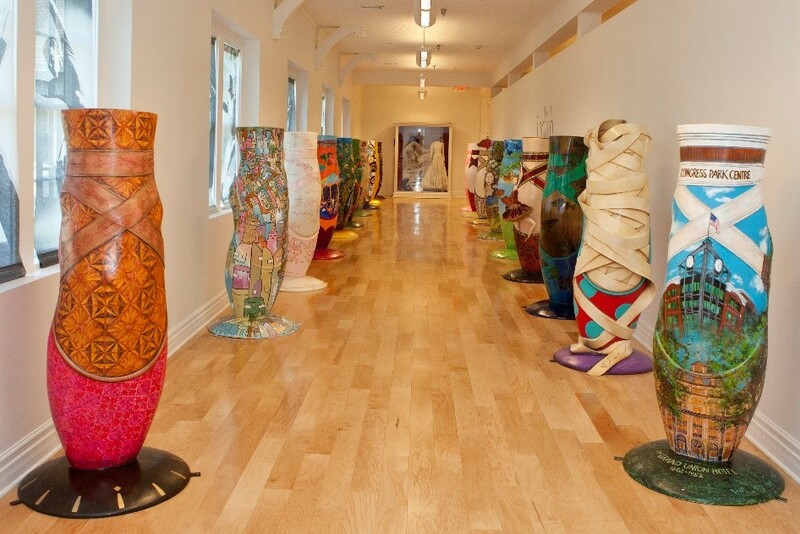 Submissions must be posted to the Museums Facebook Timeline using the hashtag #saratogaenpointe. We will be giving out two prizes, one for the best pose next to the pointe shoe and one for the best replication of the theme. For more information on the rules of the contest please visit the museum’s Facebook page under the event Saratoga En Pointe 2014 Photo Contest. Ms. Limoli is a well-established teacher, specializing in Classical Ballet training, repertoire and history. She performed internationally as a featured dancer with the American Ballet Theatre and later served as Ballet Mistress for multiple professional companies. In addition to her position at Skidmore College, she was faculty at the University of Cincinnati College/Conservatory of Music and at the North Carolina School of the Arts. Since 1970, she has been Senior Ballet Mistress for the Nutmeg Ballet Conservatory in Connecticut. Ms. Limoli teaches regularly for the American Ballet Theatre Summer Intensive Program and the Kaatsbaan International Dance Center. She teaches all levels of ballet, and she receives outstanding reviews from her students. At Skidmore, Prof. LImoli has showcased her dancers along with the Skidmore Orchestra in performances at the Zankel Music Center. Beginning at 7pm on Thursday, July 17, Denise Warner Limoli will give a presentation on the history and artistic importance of the Bolshoi Ballet, one of Russia’s greatest cultural institutions. She will also give insight into Bolshoi’s production of “Don Quixote,” which the company will be performing at SPAC this season. This event will be sponsored by the Saratoga/Chekhov Sister City Partnership Program and hosted by former Mayor of Saratoga Springs, Ken Klotz. A reception will follow. This event is free, but reservations are recommended. Established in 2001 to strengthen cultural understanding, stimulate economic development, and conduct long-term projects of mutual benefit, the Chekhov Partnership sponsors lectures, children’s art exhibits, theatrical events and travel opportunities. Over the years community members have traveled to Russia and several Russian delegations have visited Saratoga Springs.